Hellooooo! How you doing baby booboo boo boo? Oh, are we not close enough for me to call you that? That’s fair. I’m so pumped for this recipe! 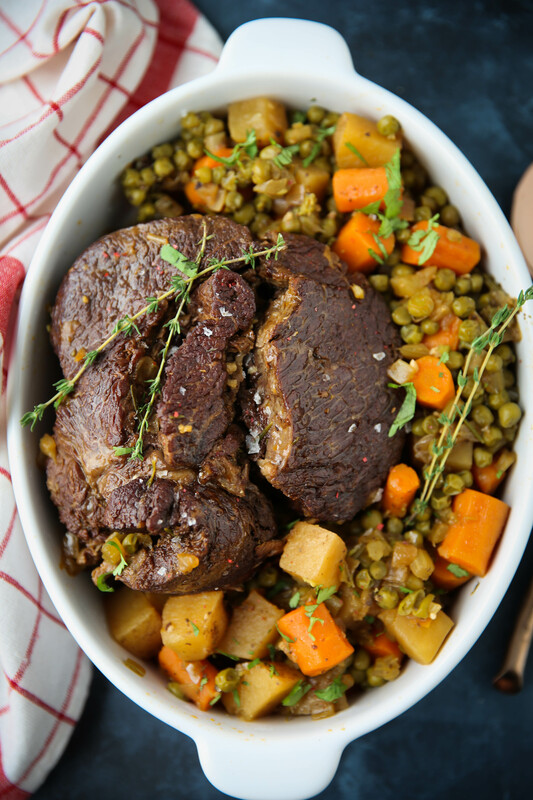 I have always kind of hated pot roast and I don’t hate this one! It’s so damn easy thanks to the instant pot. And you can add whatever veggies you want to it! I know peas aren’t considered paleo, but I had them from the holidays and I didn’t want them to go to waste! 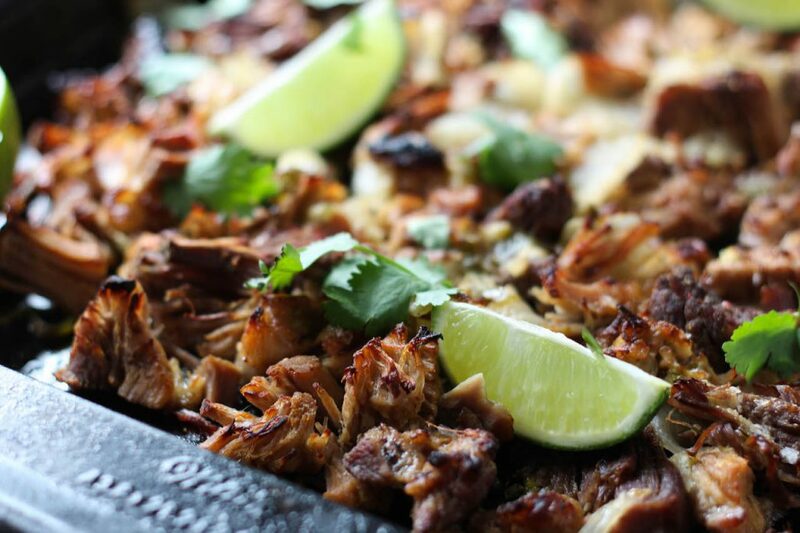 And yes, this can be made in the crockpot if you don’t have an instant pot! I have no idea how long it would have to cook though. Because I didn’t make it in a crockpot. Duh. So guess what? Just yesterday I got back to town to my little puppy and right now I’m leaving him, heading to the airpot to go to Austin. I’m so pumped to go to Austin because AUSTIN IS THE BEST, but I’m so sad to leave Jackson. He’s just the best and I was already gone for 3 days and now I’ll be gone for 4 and then after a few days back at home, I’ll be gone for 5 more days. Insert painful cry face emoji. But a couples vacation was needed so that’s what we are planning to do! We rented an awesome airbnb, we are going to eat at all my favorite places AND hopefully some new restaurants, listen to some live music, and who knows what else. If you have any recommendations, let me know! We are down to do anything! Want to see what I’m packing?! No? OK!! My girlfriend and I are planning to get a couple workouts in so I’m bringing plenty of activewear so I have no excuse to skip a workout. And it’s suppose to be in the mid 70’s every single day so lots of jeans and comfy tops! But what else should we do? Any place we should go? Restaurant we should try? I always use other people’s recommendations, especially since I’ve been to Austin so many times and have tried so many restaurants already! Always looking for something new! Press Sauté function on instant pot*. Once hot, add ghee. Salt the outside of the chuck roast then place in the basin of the instant pot and sear chuck roasts on all sides, about 5-7 minutes per side. Once chuck roast is completely seared, remove and set aside. Press keep warm/cancel on instant pot. Place all veggies in the instant pot. Use a knife to cut 5 small holes in the chuck roast and press the garlic cloves into each hole. Place the chuck roast on top of the veggies. In a large bowl, whisk together the beef broth, coconut aminos, tomato paste, red pepper flakes and a large pinch of salt and pepper. Pour mixture into the instant pot. Use twine to tie together sage, thyme and rosemary then add that to the instant pot, as well. Secure lid, close off pressure valve then press manual to high pressure and press the up button until the time hits 90 minutes. Once time is up, quick release to let the pressure out then remove lid. 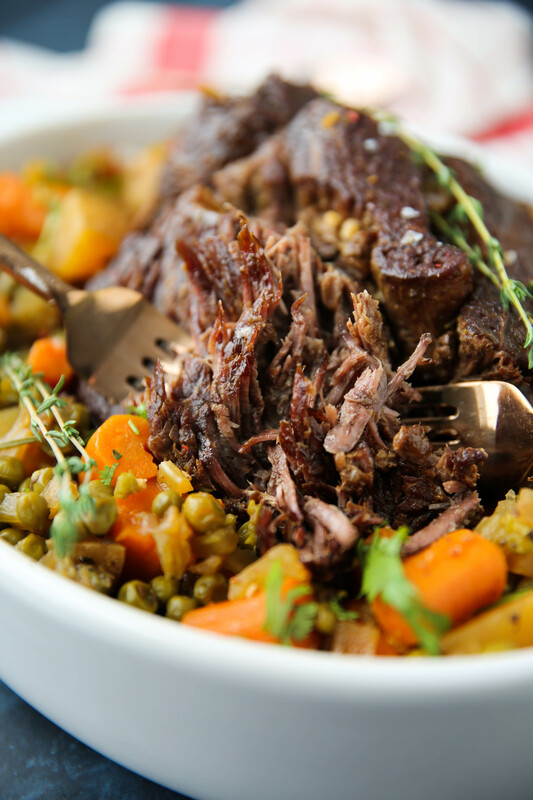 Remove chuck roast from instant pot, cut twine and use two forks to shred the meat. Strain vegetables from liquid and add the meat to the vegetables. Before serving, pour some of the liquid from the instant pot over meat. Garnish with freshly chopped parsley. Yay Austin! Have the best time. The weather is perfect here right now. My two cents on restaurants (excluding all the delicious places you’ve already tried): El Alma (best spicy margaritas and cute rooftop patio), Alcomar (Mexican seafood), Thai Fresh (incredible thai inspired gluten free options), and Cenote (cute space, tons of gluten free options for breakfast and lunch). sweet, the only one of those restaurants that i had on my list is thai fresh!! i’ve always hears amazing things! yes!! fixed the recipe to specify that! sorry about that! JULI!! You NEED to go to Holy Cow… they have Austin’s best paleo burger! When you get there you’re going to say “wtf this looks like a gas station restaurant” but I️ promise it’ll be the best burger you ever eat (it’s in a mushroom cap and served with sweet potato fries). Everytime I️ take someone there, it becomes their new favorite! i’ve never heard of that place!! i’ll add it to my list! Wait.. I️ forgot to mention Sweet Ritual! It’s an INCREDIBLE dairy/soy/gluten free ice cream shop. All the ice creams are made out of nut butters! Seriously, the best way to end your day! I have a question I just bought my first instant pot on Black Friday and I got the 8 qt. It seems enormous, then I read online recipes won’t be the same from a 6 qt to an 8 qt. Does the pot size change the recipe? Do like the 8 qt size ? If I have the 6 qt Instapot do I have to change any part of this recipe? 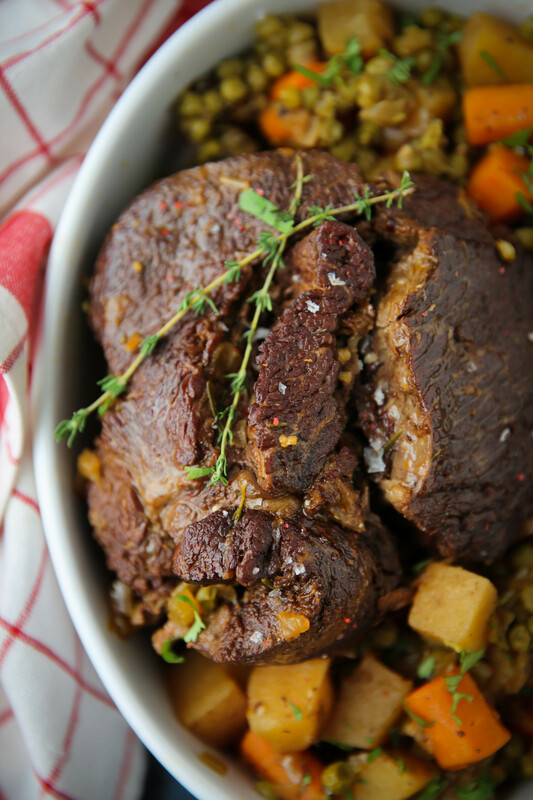 Smaller chuck roast, less beef broth and other liquids? Also, if trying El Alma.. the Pina Rita is the BEST! ; not paleo but a must try. I think the recipes would only be different if you got the 6qt as it can’t hold as much. I recommend sweet ritual for ice cream. They are vegan so have so many great dairy free options. They use almond, cashew, and coconut bases depending on the ice cream! My veggies always come out super mushy if I put them in with the meat, or for more than like 3 minutes. I can’t imagine 90 minutes! How did they turn out in this recipe? You must eat at FIXE in Austin! It’s a nice restaurant downtown that is walkable from a lot of places. OMG everything on the menu was to die for. My husband and I spent our honeymoon in Austin and we ate ALLLL the things, but this place was the most memorable. If you’re looking for a classy restaurant that will blow your mind then FIXE is IT!!!!! Franklin’s BBQ, but only if you don’t mind spending most of the day waiting in line. Uchi – seriously one of the best sushi meals of my life, even better I daresay, than Sushi Den in Denver. 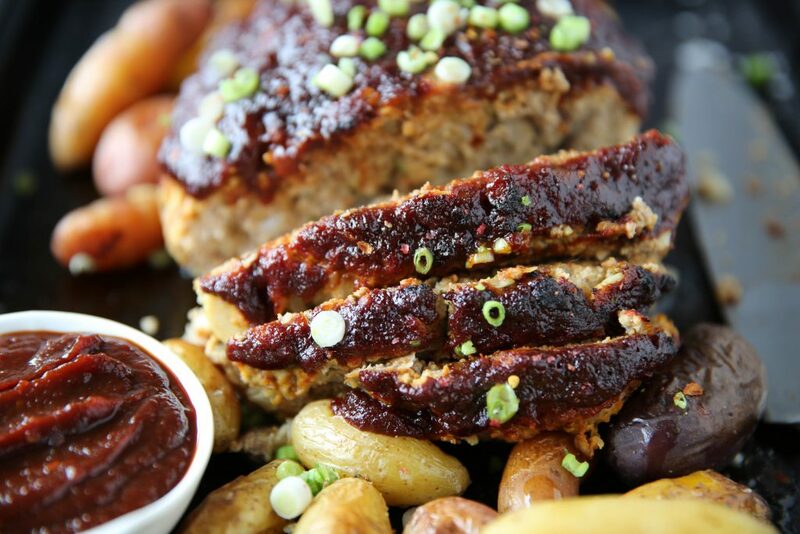 Get the Chef’s tasting – they bring dishes to your table until everyone is done. It is amazing. If you have not tried Contigo or Dai Due, I’d highly recommend them! They both feature some more nontraditional proteins, i.e. game meats, expertly prepared and SO good. On the weekends at Dai Due, they feature a seafood night and a mixed grill night that has just a bunch of different kinds of each: http://www.daidue.com/supper-club-menu/. Josephine House has a great brunch with tons of healthy options! Also for a good active activity, climb up to Mount Bonnell and get great views overlooking the city. It’s not gonna be any kind of mountain/hill you have in Colorado, but it can be quite nice at sunrise/sunset and is enough to get your heart rate just a little up. Same is true for the 360 Bridge lookout, which will get you a view of the iconic Pennyback bridge. Looks like there a lot of us long-time readers and Austin locals here–would be fun if you ever decided to do a meetup! This looks great! Is it necessary to tie the roast with twine before searing and cooking in the IP? I’ve only done it in the crockpot and have not used twine before so just checking! it’s just easier to remove from the instant pot then shred, but you definitely don’t have to! I made this tonight. The vegetables were mushy. I felt that they shouldn’t have been diced, but rather left in larger pieces. Also, they were burnt and stuck to the bottom of the pot. I even shortened the cooking time slightly. There was no sauce left, and I had to add broth at the end just to get some moisture back into the dish. The flavor of the dish was good, maybe a bit spicy for a pot roast, but didn’t appear anything like the photo of the finished dish you posted. I have been using an Instant Pot for over a year, and am an experienced home cook. Not sure how paleo it is, but Bonhomie on Burnet Road is amazing. Worth it if you don’t mind regular potatos and stuff like that. ???? This looks delicious, but I don’t have an instapot. Is there a way to modify it for a crockpot? haha you gotta make sure you read the blog post before you ask a question!! 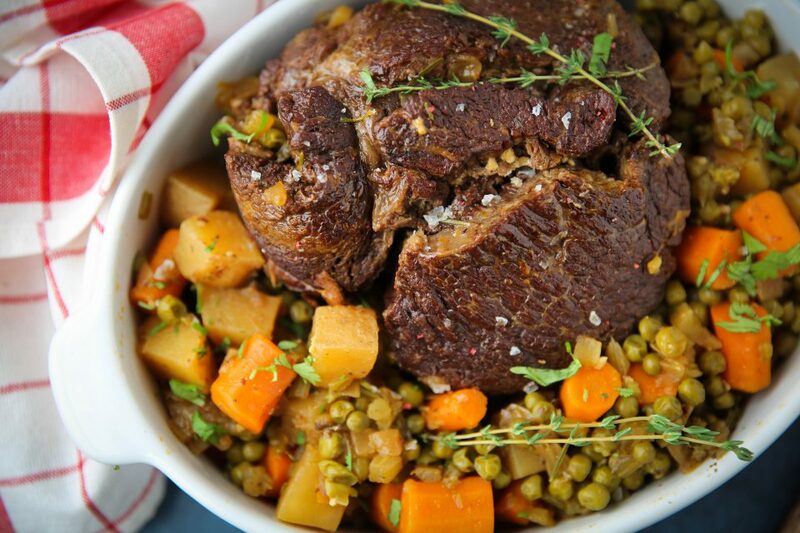 I will be making this tonight – was already planning on some IP chuck roast meal! We just got back from Austin , our daughter goes to UT. Your freind Kassy from Fed and Fit actually spoke at her sorority last spring:) Some unique standouts in my mind: Salty Sow, Swift Attic, Lamberts. Have fun! Juli, you’re so freaking amazing with the Instant Pot and EVERY recipe you make. You’re a true pro and I just love your authenticity and style. Love ya’ girl!!! Juli, this is freaking delicious! I only had like 18oz broth on hand so I added a little a red wine and it came out perfect! Yay for your talent! sounds delicious!! so glad you liked it!! This was so so so good! I added onion, sweet potatoes, carrots and mushrooms. 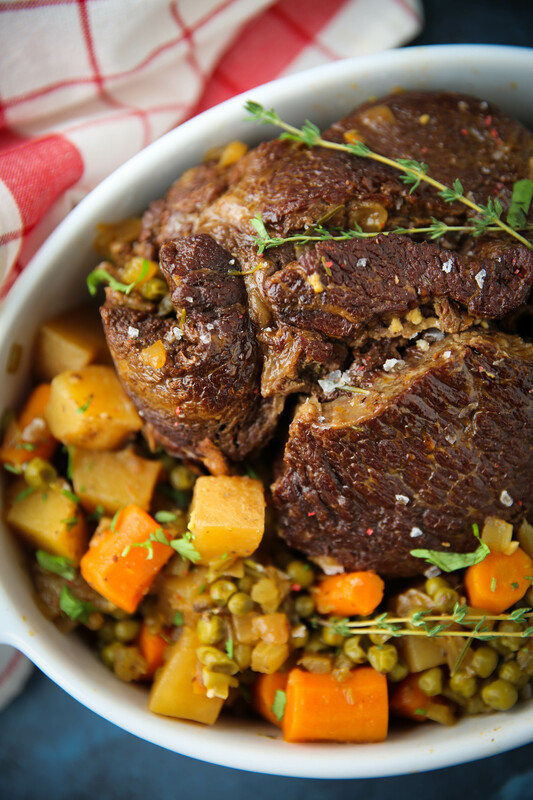 Lovin’ these Instant Pot recipes! I wish mine looked as beautiful as yours did ???? hiya, i didn’t think peas were paleo? they are not. i just used ingredients that were leftover for thanksgiving, which meant i had peas on hand! thanks for your feedback, susan. i highly recommend you read up on some articles, there is a ton of information out there for you. this one is especially helpful – https://whole30.com/2014/07/new-whole30/. since i’m incredibly active, i eat way more carbs than someone who is sedentary. if you are not active, you may not need extra carbs like me. hope that article helps!